It’s hard to believe that it’s already December. It seems like just yesterday we were ringing in 2018. From the team at Ten Mini Storage, thank you for trusting us to store and protect your belongings. It’s been our privilege to serve you in 2018 and we look forward to continuing to do so in 2019. As the year wraps up, it’s a good time to look back at our most popular blogs. Now is the perfect opportunity to get a quick refresher, or to check them out if you missed them the first time. If you’re planning to rent a storage space in 2019, budgeting in advance goes a long way to making it a smooth, stress-free experience. Contractors can use self-storage to keep vehicles, tools, and equipment safe, secure, and out-of-the-way. If you’re a contractor and wondering where to put all the equipment that is so important to your business, a storage unit could be what you need. Something that many people wonder about is whether having a garage sale at your storage unit is a good idea. The answer, of course, can be found in May 2018’s blog. Many people struggle to find space to store their off-season tires; especially in winter when they want to keep the garage clear and accessible. If you haven’t yet switched your warm-weather tires and are wondering where to put them, tire storage is right for you. Plan ahead: School plays, work parties, family dinners, and other commitments eat up a lot of time. Track everything you’ll be attending and know what, if anything, you need to bring. Declutter and store: As you decorate your home, declutter along the way. Don’t need it? Get rid of it. Anything you do need to keep should be safely put away in a storage space. Don’t overbuy: Whether it’s for you or family and friends, don’t buy too much. That way, you keep more money in your pocket and more free space at home. Create a gift wrapping area: If you wrap gifts in the bedroom, kitchen, living room, and basement, you’ll have scissors, tape, and ribbon scattered all throughout your house. Dedicate one section of the house to handle your gift wrapping needs. Thanks for a great 2018. See you in 2019! Once again, thank you for a terrific 2018. We wish you nothing but the best for the season and leading into the New Year. 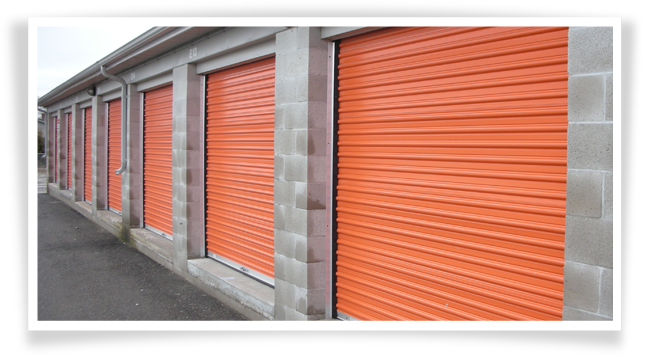 Remember, you can contact us anytime with your questions about our storage units. We’ll get back to you quickly with the answers and information you need.